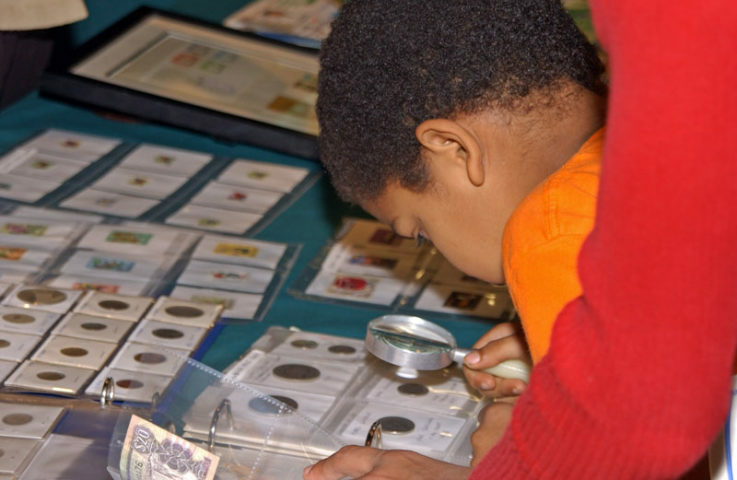 Newbie coin collectors are often overwhelmed by the words and phrases they come across in their new hobby. While the following abbreviations and acronyms are not the only ones that you will stumble upon when collecting coins, these are the most common ones when it comes to discussing coin grades. The letters represent the circulated grade of the coin and various strike characteristics. A grade that refers to a coin with very heavy wear. Most collectors do not collect coins with this amount of wear, except for coins which are considered rare. A coin which has only slight wear on its highest points. Refers to brownish hues or toning seen on copper coins. An uncirculated coin which has notable luster quality and, sometimes, refers to an uncirculated coin with good strike. A coin which has seen wear through circulation. A coin which has been cleaned or otherwise washed. Refers to a proof coin on which the designs are heavily “frosted” (white). A coin which is not actually a “proof” specimen but has reflectivity and mirrored surfaces which resemble proof quality. These coins are highly appreciated by collectors and investors alike. A coin with light wear and has all basic details visible. Higher-level “EF” or “XF” coins often show light traces of luster. A coin with heavy wear. “Fine” coins usually have full rims and all major details are intact. A coin with very severe wear. Some people will collect “fair”-quality pieces for coins which are very rare, as is the case with very early half-cents and large cents. A coin with considerably heavy wear. This is considered the lowest grade collectible for “common” coins. A coin that has suffered extreme wear and can often be identified only by denomination and type. Dates, lettering, and detail are often worn beyond recognition on Poor coins. A coin that has been manufactured specifically to produce an exquisite strike and surface quality. These are usually marketed by the mint as collector coins and often are struck multiple times. Modern-day proof coins have mirror-like surfaces. Refers to the mixture of red-orange and brown hues seen on copper coins. Refers to the deep orange and reddish hues and toning seen on copper coinage. A coin which has never seen any wear through circulation. A coin with moderately heavy wear. A “Very Good” coin typically has full lettering near the rims of the coin. The word “LIBERTY,” when it appears on late-19th and early-20th century coins on a headband will often show approximately 3-4 letters. A coin with moderate wear. All major and many minor details are seen. All lettering should be complete on most coins. There are also numerical levels on the 70-point coin grading scale. Each coin grading organization uses a coin grading scale that is based on the Sheldon Coin Grading Scale. Here is the NGC’s coin grading scale. Here is the PCGS’s coin grading scale with examples of each coin grade. Looking For A Coin Glossary?